While I was in the garden this morning I noticed that some of the shiny baubles I had placed in a container were missing. It’s not the first time this has happened and the culprit is usually a crow. 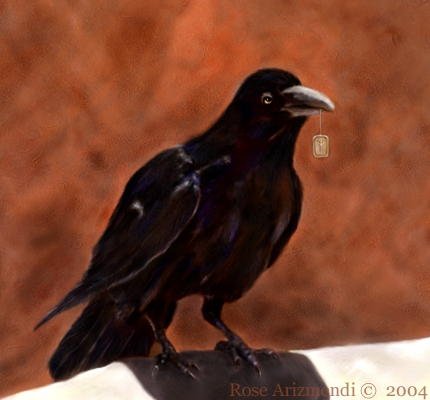 Later when I went to take the garbage out, there was a crow with his “beak in the cookie jar” so to speak. I laughed as he hastily made off with his stolen prize. It’s been one of those days where there’s so many ideas buzzing around in my head and just too many other distractions going on to really focus on them. Hopefully I will have a chance to work on some of these tomorrow. Spent the morning working on a painting and I’m almost finished! Hallelujah! Later I played around with a couple of new ideas I wanted to try. As with all things, especially related to art, there are no guarantees. I can hardly believe August is already here! During this time of the year the local farmer’s offer a plethora of fresh vegetables and sun ripened fruit, and who can resist the sweet and succulent taste of ripe strawberries and plums. Yum! September is right around the corner, and soon enough the leaves will begin to turn and fall. Until then enjoy the wonderful bounty that the last month of summer has to offer. This little sketch/painting started as an idea for an ATC card which quickly turned into a much bigger project than expected. I ran into problems when giving the book a title. It suddenly dawned on me that the artist trading cards are so small you would never be able to read the title of the book. Time for me to put this aside for awhile so I can decide where I am going with this. It promises to be a very hot day, but it’s still cool enough to get some work done in the studio. Have a great weekend! Life is a Journey, and the experience of being immobile for a few days, really makes one appreciate the little things we take for granted everyday. It taught me patience with my own body, something that can be very difficult to do these days, with everything needing to be done yesterday. I feel so much better today and looking forward to getting back in the studio, and I can hardly wait to work some more on my new painting. I have miles to go before it is finished. I did have some extraordinary dreams while recuperating and hope to develop sketches of the ones I wrote down in my journal. 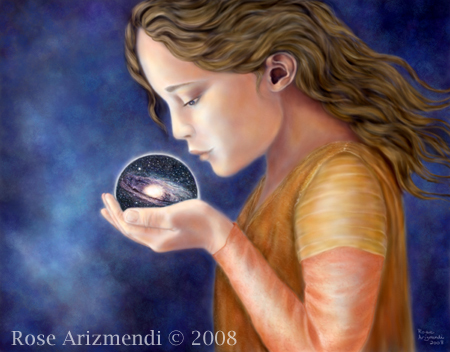 My dreams have always been a source of inspiration for many of my paintings. 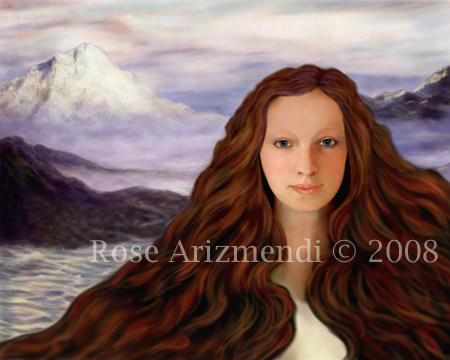 The Lady of the Lake painting is finally finished. 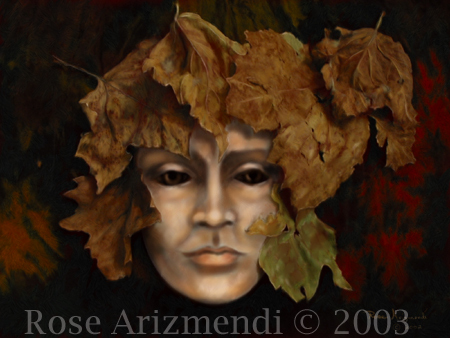 I used Painter IX, the only program on the market that can simulate what traditional painting mediums can do. 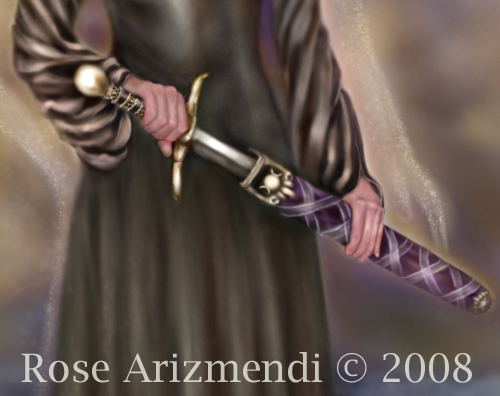 First I used a customized pencil to draw the woman and sword with scabbard. 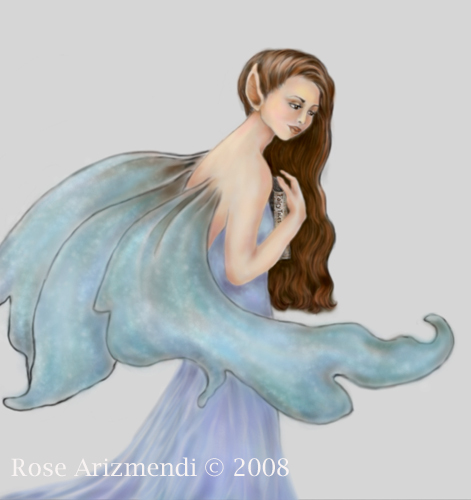 Then I created a new layer and began laying in color, working on this layer allowed me to preserve my original sketch. 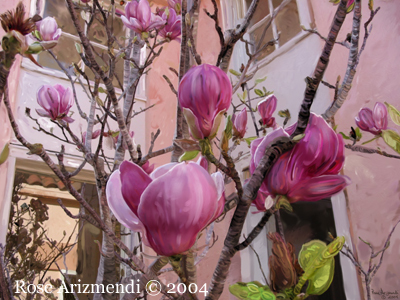 Once I liked what I saw, I then flattened the image and began painting directly onto the original canvas. This painting took me somewhere between 20 to 35 hours to complete. 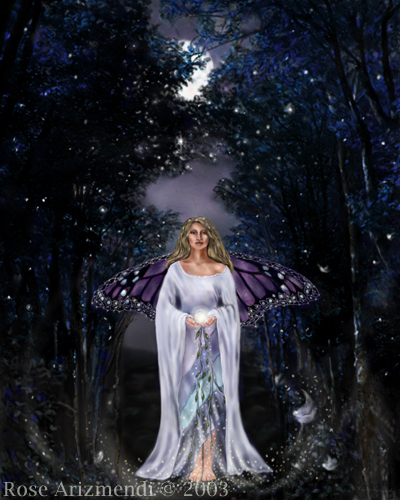 The lady of the lake is an archetypal figure in the Arthurian legend, and known as Vivian, Nimue, Niniane, and sometimes as Morgan le Fay. She was also Merlin’s lover and rival and was credited with bewitching him. 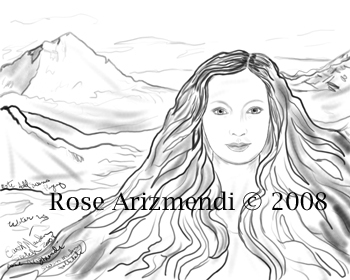 The lady of the lake is best known for gifting the sword Excalibur to Arthur. Excalibur’s scabbard was said to have magical powers of it’s own, and was stolen by Morgan le Fay and thrown into a lake, never to be found again. Alfred, Lord Tennyson, described the sword in his poem “Morte d’Arthur”, later written as “The Passing of Arthur”, one of the Idylls of the king.